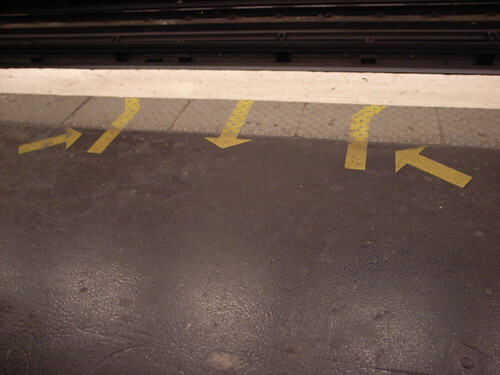 Multiplicity of signs on a subway platform (in Paris). Podotactility to cue about platform edges and arrows to show the circulation flows. It's interesting how these signs added up over time. What's next? Another modality?